Infosys co-founder Nandan Nilekani and Helion Ventures co-founder Sanjeev Aggarwal have teamed up to launch a new $100 million fund called The Fundamentum Partnership for mid-stage consumer technology and software start-ups. Nilekani says the new venture capital fund has already raised about $50 million of the total corpus, with the remaining half expected to be closed over the next few months. Nilekani and Aggarwal together are contributing roughly a third of the fund. Fundamentum also means that Nilekani will now stop making personal investments in startups beyond the 12 he has already made and will only invest through the new fund. “India continues to be blessed with phenomenal entrepreneurial talent and the attempt with this platform will be to see how we can amplify their success. 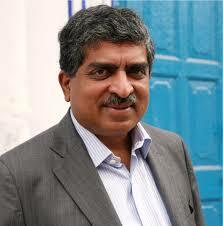 At Fundamentum, we are committed to building companies to last, with speed and at scale,” Nilekani added. The founders note that the corpus may be extended to $200 million if the fund sees more opportunities. “Fundamentum will offer more than just capital and provide a 360 degree approach from our team of advisors,” he added. Agarwal, who oversees a corpus of over $600 million at Helion Venture Partners, has backed companies such as MakeMyTrip, BigBasket and ShopClues in the past. The firm’s advisory board includes TN Hari, head of HR at online grocery startup BigBasket, and former Infosys executive Sanjay Purohit.